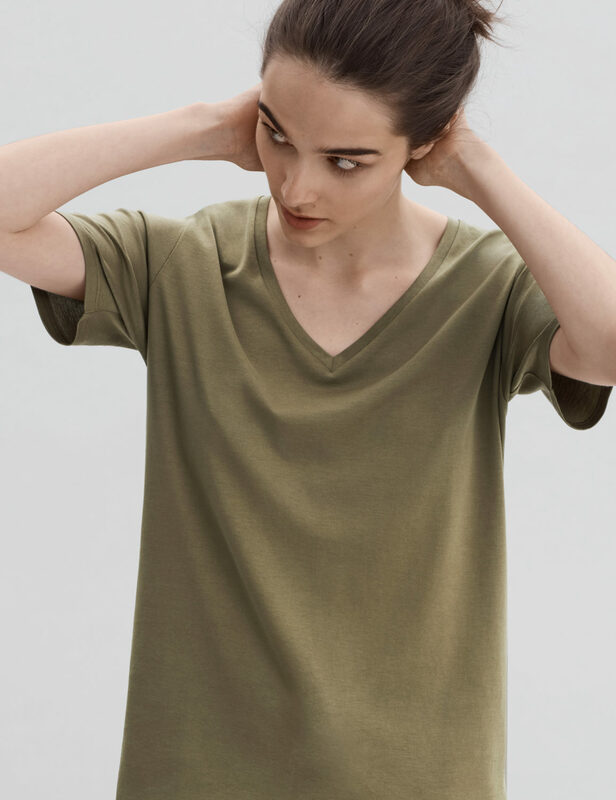 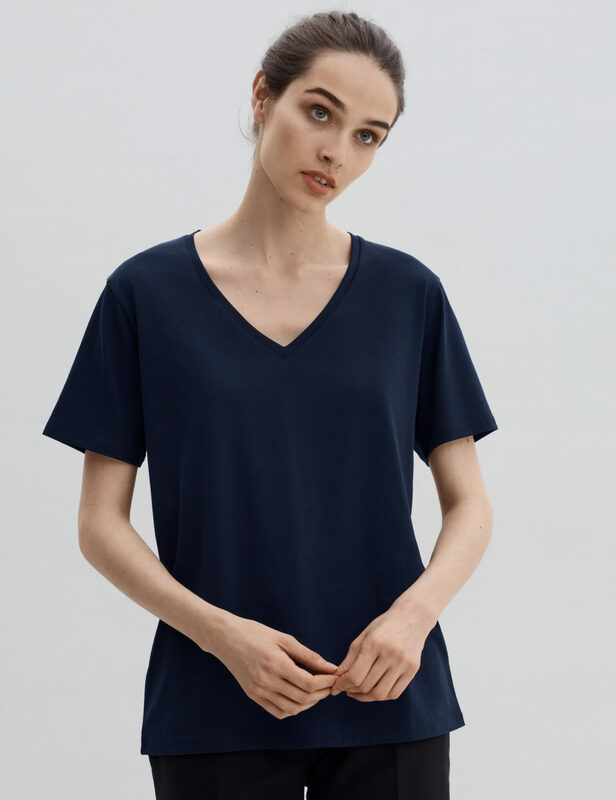 Our v neck t shirt is luxuriously soft and elegant, a wardrobe necessity and effortlessly stylish. Cut from an all-natural, supremely soft and lightweight jersey fabric that feels amazing against the skin. 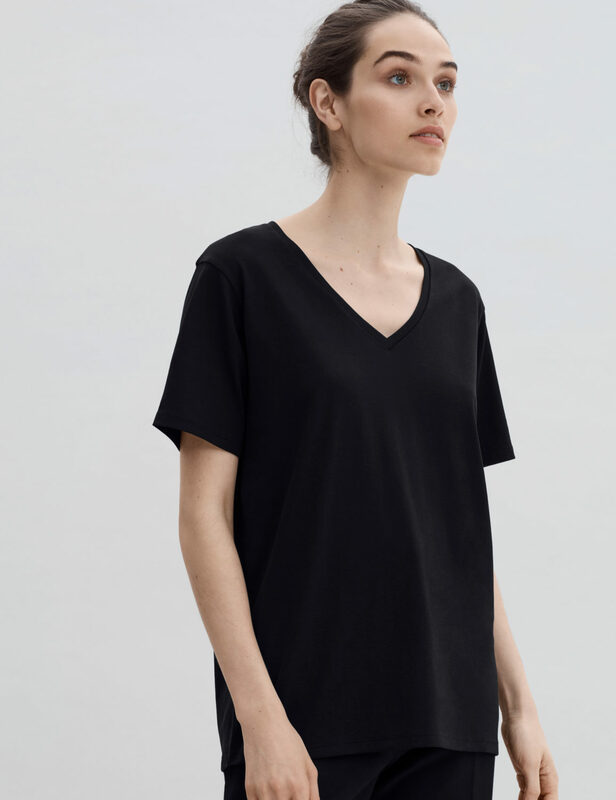 Wear this tee for layering or to ground statement pieces.